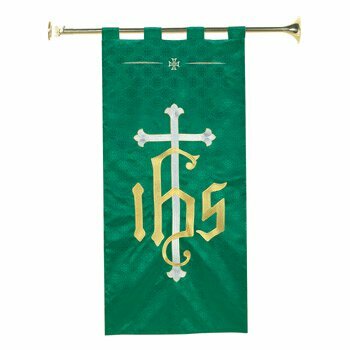 Fitted with a solid brass adjustable wall mounting bracket and featuring a solid brass trumpet bell attached to the end, this pole allows banners to be hung horizontally or at an angle up to 90 degrees. Holds up to a 32" banner, sold separately. Also available in brass/wood (#SB503).